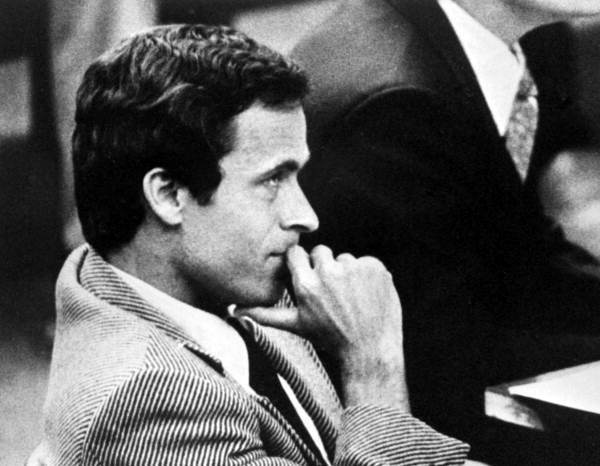 Ted Bundy was a serial killer many criminologists have intensely studied. His furtivity, brutality, and public look all entrance these investigators in ways unimaginable and catalyze every paternal fear of a daughter brutally molested or murdered. He is also a figure that, perhaps in response to this paternal fear, is idealized in a set of killers. In a sense, he is a peak of degeneracy to many. It becomes hard to tell what this degeneracy is. The often pseudo-scientific term was appropriated from language in systems biology and used in social degenerative theory. The theory’s findings of the demise of civilization due to genetic factors define it. Beyond definitions, one can see how degeneracy would be a comfortable causal factor to point to for the making of Bundy. He slew 30 or more women brutally, lied pathologically, and was manically depressed. It seems only inevitable to conflate illness with breaking from the norm. Yet, enablers of degeneracy, as some eugenicists may say, did not raise Bundy. His parents raised him in a Christlike environment. He went to church regularly, had a relatively pleasant boyhood, and experienced the nuclear family. Also, neither of his parents had a known history of mental illness. However, schoolmates recall that he was “different”, and thus gained some sense of pariahs. He had no girlfriend, no close friends, nothing loving, one could posit. This is the case with individuals who commit serial crimes too; sometimes they come from normal backgrounds, sometimes not. The most important takeaway of all this is that there is not a specific causal factor in this stream of crime. Rather, there only exists individuals who make decisions based on their wills and ideas; they have no duress of genetic incompetency. Degeneracy, from this explication, becomes just a disguise for personal disgust. The only purpose of it to exist is to give angry people mediocre reasoning to get their point across. Of course, this disgust of brutality is valid. Must we have an imperative, though, to fix it? Must we fix this “degeneracy’? These things we find ugly in our society, things that ravage it? Things that dissolve the adhesive of society’s structure? What should the layman do, besides the violent and immoral policies of eugenics? To begin this question, one must ask what presupposes the imperative. What must motivate us to police this violence other than the obvious loss of material beings? The answer, one might realize, is not uniform; there’s no purpose of finding this. The point we ought to make is that this is something that has been circumscribed to the private world of academia, and deserves attention from the everyday man. Why? This imperative underpins policing, pedagogy, culture, and many other institutions, that we may or may not have a license to police ourselves for potentially violent behavior. Do we allow social media policing in order to correct possibly violent behavior that could culminate into violent actions? Do we act as if any potentially violent message could engender a serial killing? Or, do we leave it alone completely? The answer is as relevant as the perp walk we watch, as the marrow we collect from the bones of violence. The good stuff, the nitty-gritty. Are these degenerates at heart? Filth, scum? What is our imperative to these actions? And thus, the labyrinth ensues. For more than a quarter-century, Acorn Community has thrived in rural Virginia as an example of a society that truly practices anarchism.